I feel like I blinked once and Fall is almost over. Where did time go?!? Thanksgiving is next week! Wowzers. What this means is that I only have a few weeks and a lot of turkey and mashed potatoes between me and Fall semester final exams (my first exam is 12/2/18). I wrote a post not too long ago on my final exam prep during the month leading up to exams. You can read it here. 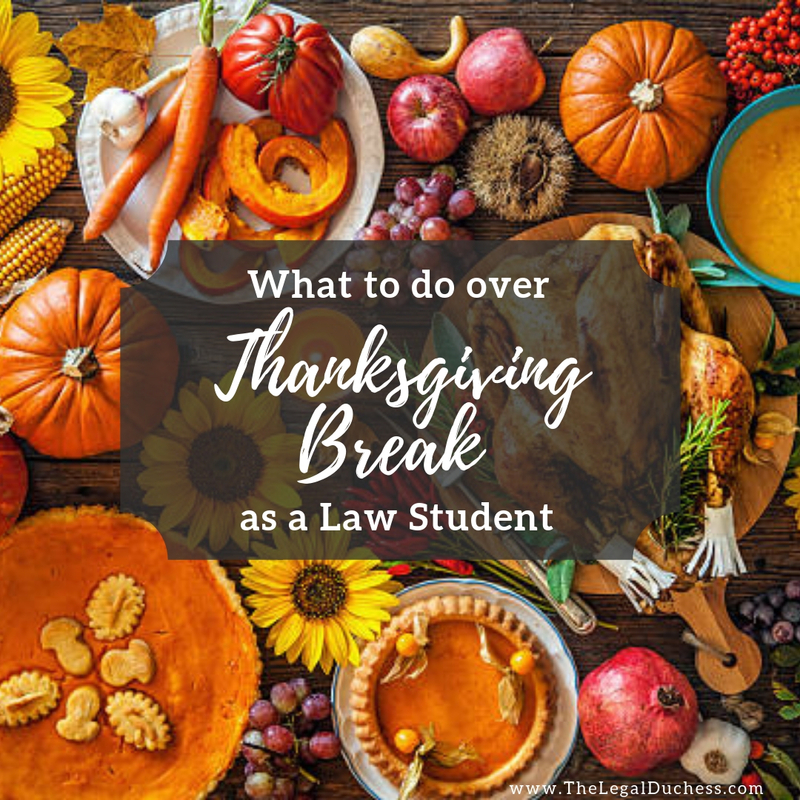 I had a few questions lately about what you should do over Thanksgiving break to get ready for exams so I decided to write up a post about it. I will start with a disclaimer- everyone is different and everyone studies differently. Take my advice with a grain of salt; what works for me may not work for you and vice versa. Read it, use any tips you find useful and do what you need to do to be successful. You know yourself better than anyone so do what is best for you. While it may be appealing to spend all of Thanksgiving break hunched over your computer studying until your brain is mashed potatoes, try to avoid this. Thanksgiving break is first and foremost a break. You are sure to be tired and a little burnt out after the hustle and bustle of the semester thus far and there is absolutely nothing wrong with taking a bit of time to relax and rejuvenate. You have been working hard and you deserve it. If you go home for Thanksgiving, make time for family and friends. Eat turkey until you are ready to explode (or whatever food suits your fancy). Go Black Friday shopping if you are into that. Watch some Hallmark Christmas movies and put up your Christmas tree if you feel so moved. Let Thanksgiving break be a break. Final exams are going to hit fast and hard after Thanksgiving break so my advice is to make the best of your time to relax while you can. This will help you to help you to be in a good mental state heading into the heat of finals. I am not saying you should be totally lazy and do nothing productive over the whole break but I do think it is a time to balance out productivity and relaxation. I like to use Thanksgiving break as a chance to play catch up on my outlines if they are not up to date. I keep up on my outlines throughout the semester so I am usually only a chapter or two behind come Thanksgiving break and it is easy to get caught up before heading back to school. This has not always been the case. During my first semester 1L year, I was so stressed out about outlining and so confused as to how to do it, I put it off completely until Thanksgiving break. That was the worst idea ever. I spend my entire break hunched over my computer typing like a madwoman while I outlined 4 classes from the beginning. I do NOT suggest doing this. 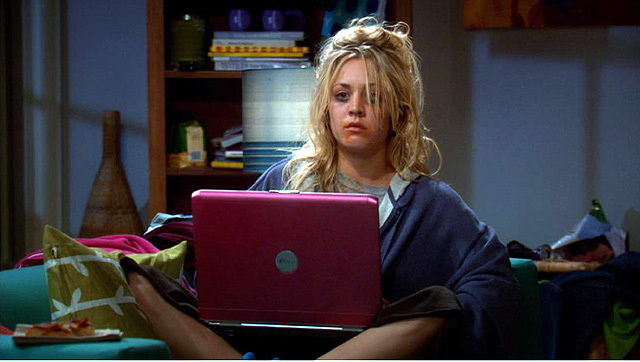 Basically what I looked like my whole Thanksgiving break 1L year because I had procrastinated on my outlines. To avoid ever making that mistake again, I keep up with my outlines over the semester as much as I can. Sometimes I get a chapter or two behind and that is where Thanksigivng break comes in handy. It provides me a few extra hours to play catch up so that I go into the last week or two of school on top of my outlines and ready to get down to the hard studying. Over Thanksgiving break, I also like to spend a little time reviewing my outlines. When I do this, I go through it and clean up any messy formatting and spelling errors. I also add in any charts or graphs that I think will help me study. While I am finishing up outlining or reviewing my already made outlines over Thanksgiving break, I start up a running list of questions for my professors on subjects I am confused about. I always operate with the mentality that there is no such thing as a stupid question so no matter how trivial or silly if I am confused about something, I write it down to ask the professor. This way, when I go meet with my professors in preparation for exams, I have specific, targeted questions that I need to be answered which helps me to avoid wasting my time or the professors time when I meet with them. I also highlight any parts of my outline that are confusing or I feel may be incomplete or incorrect. After the break, I will meet with a study group to go over my outlines and hopefully get those highlighted areas cleared up or completed with my friends help. If I can't get that done in my study group, I will also ask for help with those highlighted problem areas from my professor. It is much better to identify problem areas and get help with them versus trying to figure it out on your own or ignoring the problem area. By the time exams roll around, you should have the ability to understand everything in your outline so that all you have left to do is memorize the material and do amazing on the exam. Final exams are a crazy time in life. It is a busy, stressful, exhausting and miserable moment in time. If you are anything like me, you will spend exam weeks in a study room at the library, in comfy clothes, with dry shampoo crusted hair, no makeup, eating junk food, sleeping an average of 5 hours per night and waving to the husband in a daze as I trot in and out of the house with a 50lb. bookbag (I wish I were joking or exaggerating but I am not...). I like to use some of my spare time over Thanksgiving break to prepare for that level crazy and to make it as easy on myself as possible when exam week rolls around. For me, this preparation involves doing laundry so all my leggings and sweatshirts are clean and ready for study time. Also, I usually make a Costco run to stock up on study snacks and coffee. I also like to have some meals ready to go for the busy nights. I stock up on ingredients for easy meals like Spaghetti, Tacos, Burgers, and Soup. I also like to decorate for Christmas right after Thanksgiving so while I am doing that over break, I clean the house top to bottom. A dirty house stresses me out so if I head into exams with the house already cleaned, it is one less stressor in my life. Whatever little things you can do ahead of time to make your life easier during exams, use the extra time over Thanksgiving Break to do them! I promise your future self will thank you when life is a little easier the day before your hardest exam. The last thing I like to do over Thanksgiving break to prepare for exams is to organize my study materials. I put together my exam binder (more on that here), I organize all of my notes and I buy any supplies I am low on (highlighters, notebooks, pens, notecards, etc). I also clean up and declutter my home office and desk so that I have a clean study space for exam time. As I said above, messy spaces stress me out and being disorganized also stresses me out. The more I can do over Thanksgiving break to lower my stress during exam week, the better! Have a great break, everyone! Don't work too hard- remember it is a break!